My beautiful Mum passed away last Friday. I haven’t really plunged very deeply into the pool of Alzheimers literature. There’s an element of consciously shutting my eyes here. Just like a car crash that you’re witnessing, it’s all happening faster to my mother than I want it to, but at the same time it feels as if the pain is being drip-fed, drop by drop, so slowly. My beautiful, laughing, smiling, very talkative mother doesn’t say much any more- just a few words here and there, difficult to catch. It’s as if she’s retreated smaller and smaller into a body that I barely recognize now. 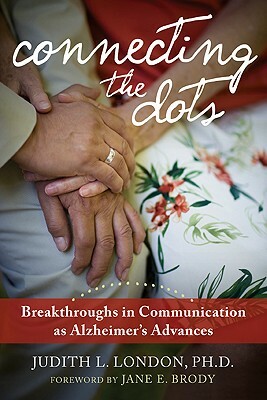 And so, this book that looks at communication as Alzheimers advances into its mid-to-late stage is the right book for now. It’s written very simply, in large print, with short chapters. These things are not so much important for me, but they may be for my father. It says a great deal for this book that I handed it on to him saying “I found this useful- perhaps you should read it”. I suspect that he’ll only dip into it gradually and that he’ll only be able to read a little bit at a time, and the layout of the book lends itself to that style of reading. It is written by an American therapist who does group work with patients with Alzheimers, encouraging them to communicate their feelings. As a result, there’s a clinical bent to the work: she quotes recent research, and her emphasis is on getting her patients to talk to her about their own emotional world as their disease progresses. As a daughter, I often wonder what it’s like to be Mum now- are the days long? is she frightened? is she lonely? I can imagine that all these things are true, but she doesn’t tell me. I’m scared of asking because I don’t know what I would do with the answers. 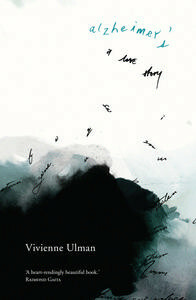 But this book reassures that the feelings are there and can be expressed in some ways. The patient has her pain: we, as the husbands/wives/daughters/sons- or as she phrases it the ‘loved ones’- have our own pain. London stands on the professional side of the fence rather than on the family side. For example, when she is working clinically, tells her patients ten minutes before, then five minutes before, she actually leaves so that the patient can have an opportunity to express grief. And yes, I know that the ‘loved one’ has much more power in the situation, and that there’s a travesty in not giving a space for the one with Alzheimers to express what they feel, but it’s all so hard. But I don’t think I have strong enough shoulders to plan to bear the grief ten minutes, then five minutes, then as I actually leave. Once is difficult enough: three times is just too hard. It’s at places like this that the professional vs ‘loved one’ divide becomes clear. There’s a bit of an Oprah-ish tone to the book- a bit of mawkish sentimentality and mushy spirituality- but not so much that I found it unbearable. Perhaps this says more about me than the book. Mainly it was good to hear someone who had such confidence that there is still a space for communication at all as Alzheimers progresses. The book is sprinkled with anecdotes and case studies which made me realize that even though at first I’d scoff “Well, her patients aren’t as advanced as Mum is”, that in many ways they were and that she was drawing from them things that I haven’t heard, or helped, my mother to say. The advice is short, practical and realistic. There’s a dot-point summary at the end which is a good reminder of what has gone before. Perhaps it could have come at the start of the book for those loved ones who are resistant to reading anything at all- although perhaps then they wouldn’t go on to read the whole thing. So yes, I did find it useful. Very useful, and in a way even affirming. I hope my Dad does too. As I wrote in my posting on Hazel Hawke, I’ve been a bit reluctant to embark on a reading binge of books on Alzheimers, even though my mother suffers from the condition. Perhaps it’s part of the denial that families have at the early stages of the disease- ours is no exception- and not wanting to look too far ahead for fear that it will cast a shadow over what is here right now. But in recent months Mum’s had a fall, broken her pelvis, been hospitalized and her condition has deteriorated appallingly. She’s been in transition care for some months and a couple of weeks ago moved into the high level nursing home that will be her home now. This litany of decline, for those of you who haven’t been down this road, must seem like just a string of cliches. But the fall-broken pelvis-transition care-nursing home downward trajectory obscures the pain of it all. Like all families, particularly when one partner is still living in the family home, there’s guilt, sorrow, grief, anger, with family members pulling together and yet pulling each other down as well. I haven’t really wanted to read about other families doing this up until now, but perhaps because such a big step has been taken now with Mum moving into the nursing home, I’m now more open to read about how other families have coped with all this. Vivienne Ulman is the daughter of Saul and Lucy Same who started Gloweave shirts, those rather quaint fashion items of the 1970s. The Melbourne she describes is one that I’m not familiar with in many ways- south of the Yarra, Jewish, and obviously very very wealthy. But in other ways, there’s much that is recognizable: Graham Kennedy’s advertisements for Glo-Weave (it used to have a hyphen) on IMT; the factories in inner northern Melbourne (far more my stomping ground), and the influence of Melbourne-based ALP politicians. Her parents both emigrated to Melbourne separately with their families prior to World War II and worked the business up from scratch. They had a strong commitment to leftish politics and a lifelong association with the ALP although that surely must have been tested by the “structural adjustment” (what a weasel word!) changes imposed onto the clothing and textile industry. This book has several strands that, just like the fabric that Glo-Weave created, are woven together into a whole. There’s the day-to-day current reality of Lucy Same in her nursing home, increasingly difficult and incoherent with her husband Saul pouring into her all the love he can; there’s Vivienne’s upbringing in 1960s and 70s Melbourne in a bustling Jewish family, and there’s the Glo-Weave business history as economic changes, industrialisation, technology and marketing change the directions of the enterprise. All three strands are interesting and well-told, with just the odd stilted phrase that belies the creative writing course origins of the book. The structure is interspersed with Vivienne’s letters to her mother (another waft of the creative writing course? ); letters of course that her mother will never read now. But I now know, in a way that I didn’t a year ago, about that longing to be able to talk with the person with Alzheimers in the way that you used to, when you took such conversations for granted. For myself, I often catch myself looking at the clock at about 8.10 in the morning. When I was home with young children, Mum used to ring me at that time nearly every morning, not really with anything to say but just keeping contact. I hadn’t thought about those phone calls in a long time, but now I would give anything to have one of them and to know that my busy, efficient, bustling little mum was on the end of the phone and talking to me. I’m reading the book with a frisson of anxiety. Saul spends ALL DAY at the nursing home- we don’t do that- should we? Are we remiss or is he obsessive? He pays for a carer to stay with Lucy all day in the nursing home- is there something going on in nursing homes that we don’t know about that we should do the same thing too (if we could afford it) ? The nursing homes, even though they are high care, are constantly shifting Lucy on because she’s too difficult- what if my Mum becomes ‘difficult’ too?- will she be moved out of a place that so far I’m happy with? My Mum so far is not physically aggressive- will she become that way in the future? There’s so much guilt and anger here too, and this I can now appreciate. Vivienne herself lives in Tasmania as part of a tree-change lifestyle. As the only daughter (and why is it that daughters feel that it falls on them? ), she feels guilty, spends much time over in Melbourne, but doesn’t move back permanently. [Should she? thinks my inner judge and nitpicker. I’m sure that she wonders the same thing.] She is angry at the disease, angry at the mother who is so angry at her, angry at her father whose absolute devotion makes Vivienne feel inadequate and yet wary of being drawn into his obsession as well. All of this I know now. This is a good book on many levels; or at least, it’s a good book for ME right now. At the moment, I am wary of books written by children about their parents’ struggle with Alzheimers. Increasingly, I know, I will find myself identifying with them more and more because someone very close to me has Alzheimers. I picked up this book in a bookshop while I was down at the beach, and put it down again. But when someone who knows my family-member offered it to me, with some trepidation, I accepted her offer and settled down to read it. Hazel Hawke is the ex-wife of Bob Hawke, the former prime minister. In Australia, we don’t particularly think in terms of “first ladies” as such, but the Prime Minister’s wife often escorts her husband on official occasions and acts as patron to charities and causes close to her own heart. Prime Minister Bob Hawke was a flamboyant, emotional larrikin. Although he always acted with propriety while Prime Minister, his past of alcohol and womanizing always seemed close to the surface. You always sensed that he would be a challenging man to live with. When the marriage broke up after he was no longer Prime Minister, Hazel kept her silence and her dignity. When reading this book, I was reminded of the deep affection I have for Hazel Hawke. She earned it through her own intelligence and interests, her strong advocacy of abortion rights, and although I’m sure she didn’t wish it this way, her resilience after her marriage breakdown was a model for the many others in similar situations. 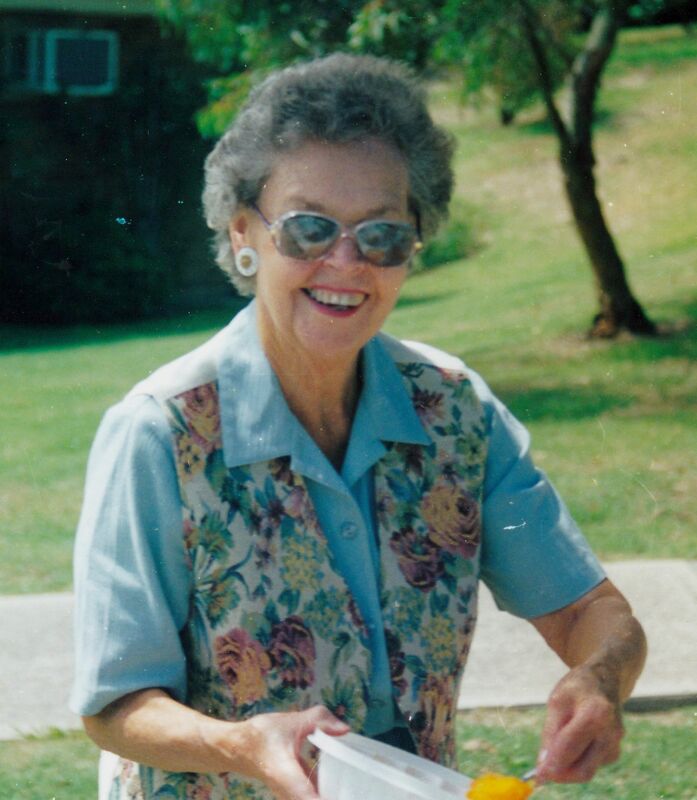 In 2003, she and her daughters revealed on the ABC television program Australian Story that she was suffering with Alzheimers, or ‘The Big A’ as she called it. I watched the show with a mixture of admiration for her courage and selflessness in so publicly aligning herself with such a silencing, stigmatized illness, and a feeling of dread that I was watching what will, inevitably, also be my fate as daughter. To be honest, the tone of this book really annoyed me. It was like listening to someone affecting a rather forced cheerfulness, full of platitudes, and talking too much. If it’s beautiful writing you’re after, then Sue Miller’s book The Story of My Father is far superior. But both these books are not really about the writing and they’re not only about the father or mother whose stories they are telling. What they are both about is grief, loss and being a parent to one’s parent. This book reminded me that, in spite of the loss of planning abilities, routines and conversation, it is the emotions that remain. As someone who loves them, it is the emotions that matter and emotions that we need to respond to.